Description Thank you for your interest in one of Middletown Toyota's online offerings. 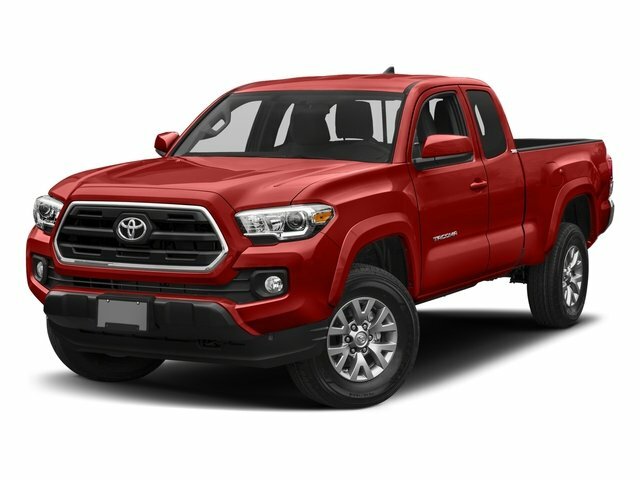 Please continue for more information regarding this 2017 Toyota Tacoma SR5 with 31,369mi. Drive home in your new pre-owned vehicle with the knowledge you're fully backed by the CARFAX Buyback Guarantee. Take home this Toyota Tacoma SR5, and you will have the power of 4WD. It's a great feature when you need to drive over tricky terrain or through inclement weather. A Toyota with as few miles as this one is a rare find. This Tacoma SR5 was gently driven and it shows. The Tacoma competes with other compact pickup trucks such as the Chevrolet Colorado and the Nissan Frontier. However, neither of these competitors has the reputation of Toyota. Unlike full-sized trucks, the Tacoma is small enough to make sense in both urban and suburban environments. The Tacoma can maneuver nimbly in tight parking lots, and its turning radius is kept reasonable. At the same time, the Toyota offers the kind of utility that compact SUVs can only dream of. With a broad range of customization options, the Tacoma offers a surprisingly amount of comfort, and even gives owners the kind of interior space normally found in sedans. The Tacoma is truly a do-everything vehicle.